Sea of Thieves is amazing pirate game which is available for Pre-order in several regions. However there is a good news for Xbox Game pass subscribers. Xbox Game Pass subscribers can play Sea of Thieves early. For that they have to change some settings on Xbox One. Xbox Game Pass is very cheap and it costs only $9.99 per month. If Sea of Thieves is not launched in your region, then you can play it with Xbox Game Pass by doing some minor tweaks in settings. Sea of Thieves is already launched in New Zealand on EB Games. In my earlier post I have written about Eltima USB Network Gate for Windows. 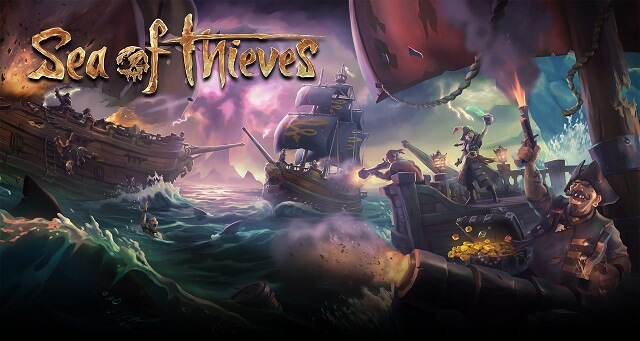 In this post I will show you How to Play Sea of Thieves early using Xbox Game Pass. 1. Go to Settings on your Console. 2. Change Location to New Zealand. 3. You will see an option to Install Sea of Thieves when you visit Microsoft store on your Xbox. The download will take some time, so wait for a while until it gets finished. Make sure that you have selected country as New Zealand until the games launches in your region. If you try to change the country then you will get a message prompt whether you own the game or not. So here I've explained how to play Sea of Thieves early using your Xbox Game Pass. Do let me know through comments if this post has helped you. Don't forget to subscribe to my email list to get more useful tips of this blog in your Email.